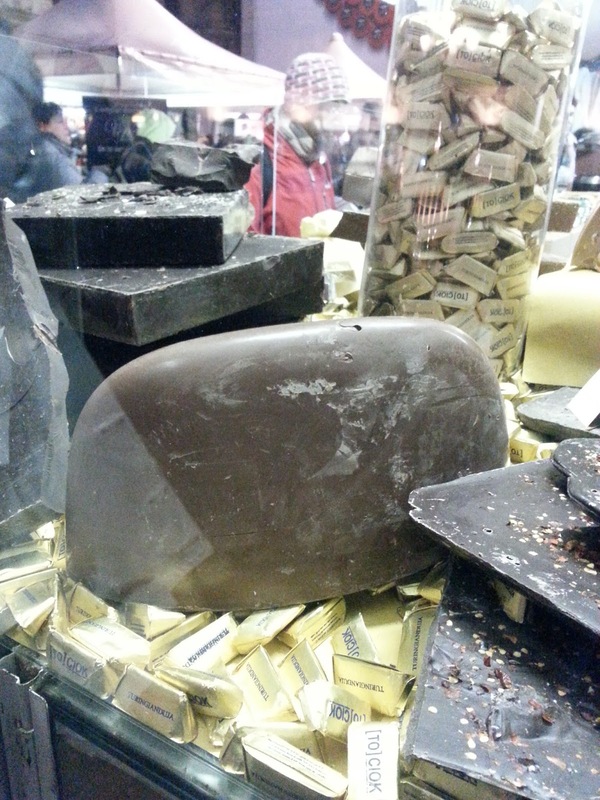 Everybody knows Gianduia as the Turin's chocolate, but what does this name mean and who is Gianduia? Back in the Middle Ages, before actors where professionals, there were groups of people who impersonated characters and stereotypes and acted in the Italian piazzas. As there was no script, they usually improvised and took advantage of the regional dialects to add color to their interpretations. This is very shortly how each Italian town got to be symbolized by a theatrical character who summed up in him or her the ways of his or her city. Certainly, back in the 1200 - 1700, politically correctness wasn't an issue and little by little shows were organized where all these 'characters' acted together amplifying their own local stereotypes. 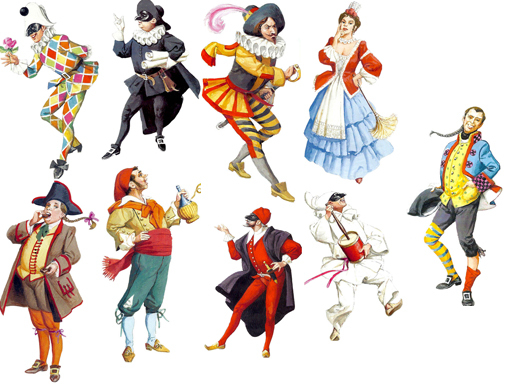 Naturally these plays were funny, they were comedies and because they reflected the core of the Italian culture - at a time when Italy was still divided into many tiny kingdoms, republics, states - this is what came to be called Commedia dell'Arte - the true Italian essence of the art of the comedy. 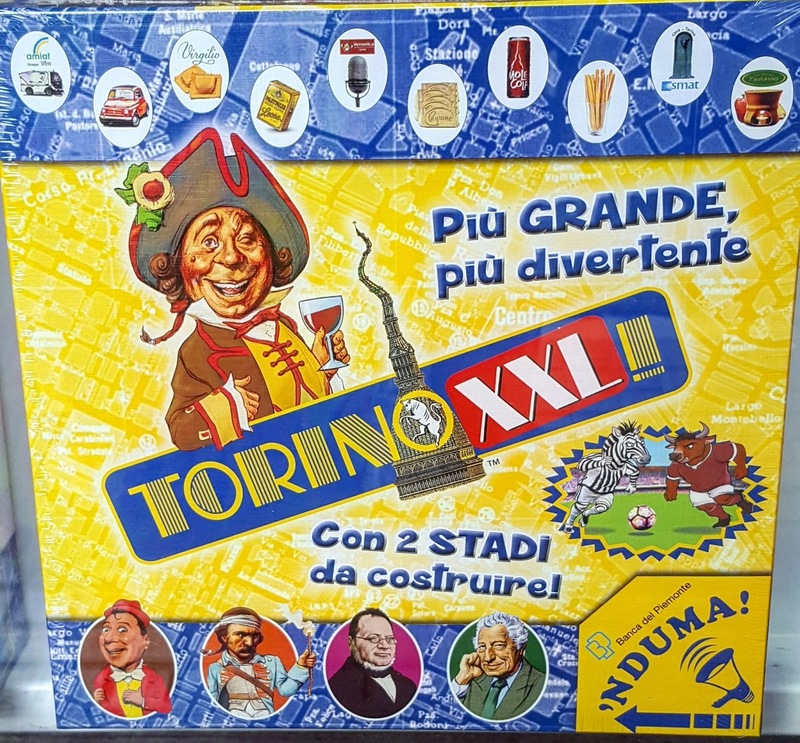 Turin's character is Gianduia, he is the city ambassador and during the Mardi Gras season that starts on January 6th and ends on Mardi Gras, you can buy his candy: the Gianduia candy. 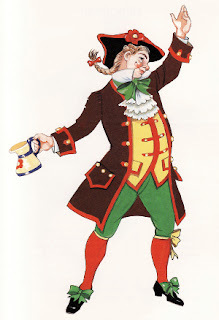 He is represented wearing a traditional 18th century cocked hat, green or brown breeches and coat, red stockings, a green or blue cravat and a yellow vest, a wig with a tiny tail and holding a mug filled with Brachetto d'Acqui. His name in the Piedmontese dialect (that shares many words and expressions with French) is Gioan or Giovanni - John - d'la douja (like La Douja D'Or the big wine festival in Asti, in September) - with the mug. Back in the 18th century, Gianduia was the name of a puppet in the Asti area, but he quickly became the Turin symbol and consequently of our wider region: Piedmont and in the 19th century, when Italy got unified, he became the symbol of the national unity. As Gironi got to Turin and became Gianduia, he also turned brave, determined and often pretended to be dumb when required by the situation. He had a round face, a red nose and a mole under one eye. Like the puppet, he loved wine, good food and good company. In the 19th century, Gianduia incarnated the Piedmontese spirit: happy, extroverted, generous, welcoming, intelligent and smiling. As the Italian kingdom acquired the other states, he got to personify the Italian democracy, being very direct in his speech, with the king too. Compared to the other Italian cities' Mardi Gras characters, Gianduia is more rounded character, while the others usually represent only certain aspects of the human nature. Gianduia is loyally married to Giacometta who symbolizes the wit and common sense of Piedmontese women. Like many women she is THE family problem solver, she is generous and always helps the weak ones. She wears a wide dark dress, with long sleeves, a lace shawl, a flowery apron and a lace bonnet. During the 1865 Mardi Gras celebrations, Gianduia gave away tons of the chocolates that today carry his name: gianduiotto and this is how the chocolate got its name. 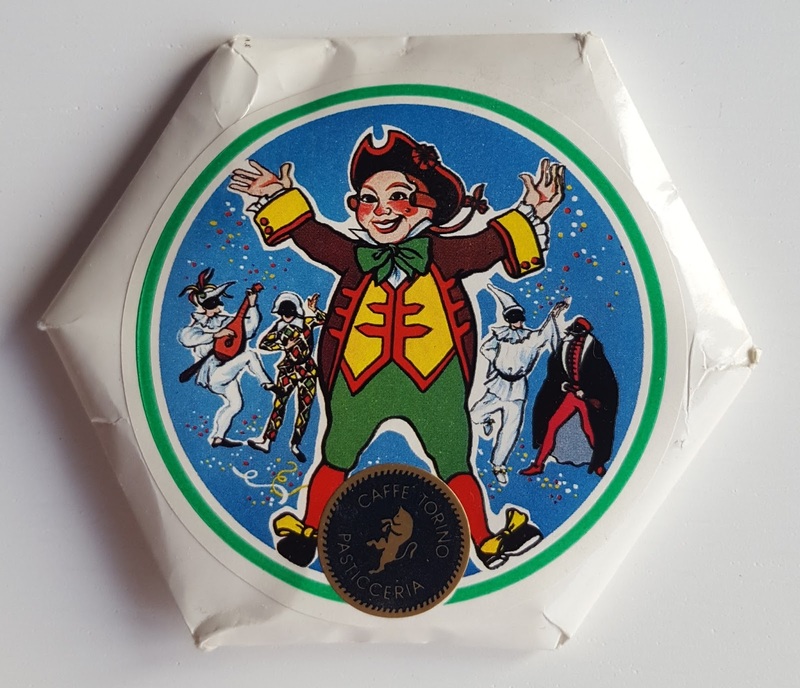 Traditionally, the week before Mardi Gras, Gianduia and Giacometta visit children's hospitals and clinics and give the kids the Gianduia candy: flat, round and wrapped in an exagonal paper with his portrait. During the year you can see Gianduia and Giacometta parading together with kings and regular people on June 2nd - the Italian republic day and on June 23rd and 24th for the St. John's celebrations.